Are you looking for a great night out this New Year's Eve? Join your friends at Leyda's for delicious food and live music! Check out what Leyda's is serving on New Year's Eve here. Skip the wait in the lobby and book online, one of Leyda's newest feature! 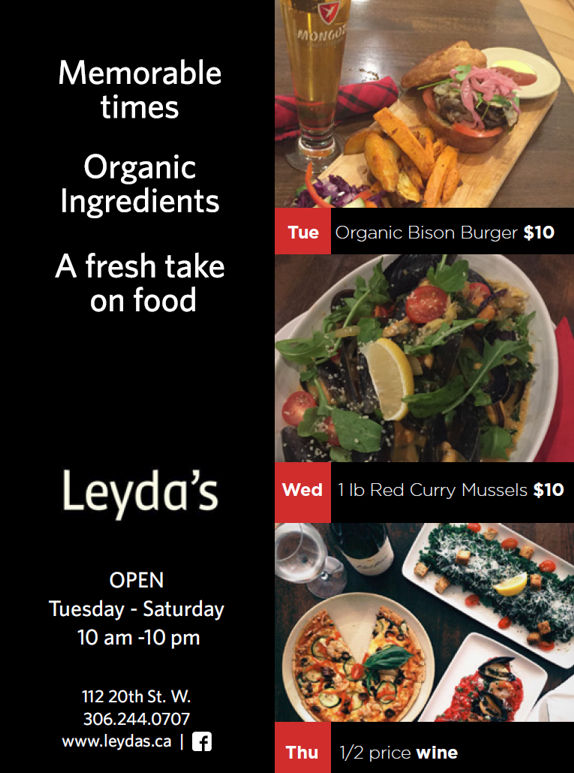 Leyda's weekly food specials, focusing on whole foods, gluten and nut free foods. Head to Leyda's Spotlight Profile for more information on the cafe, social media, hours and location. Not sure what to bring to Thanksgiving dinner this weekend? 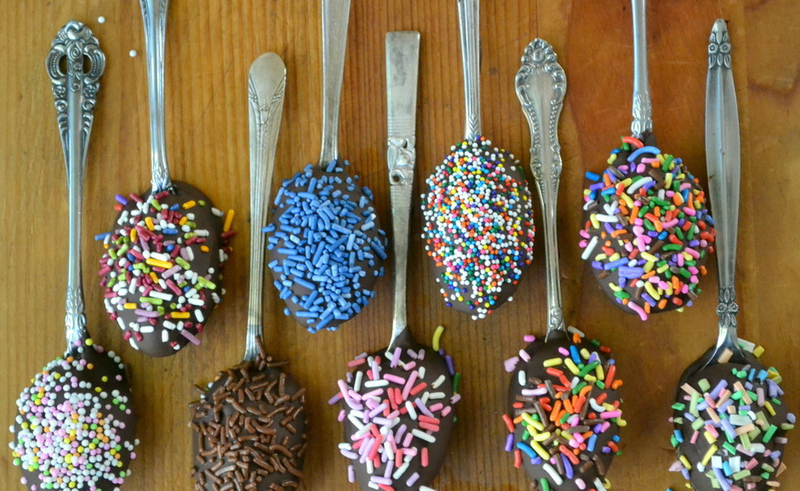 These cute and quirky food ideas are easy to make and fun for any age. You will be a hit at this Thanksgiving table whether you are a guest or a host! A sweet and salty treat that would make a great dessert this Thanksgiving. Use Turkey bacon as a healthy alternative and to stay with the theme of the holiday! A simple and quick addition to the table. 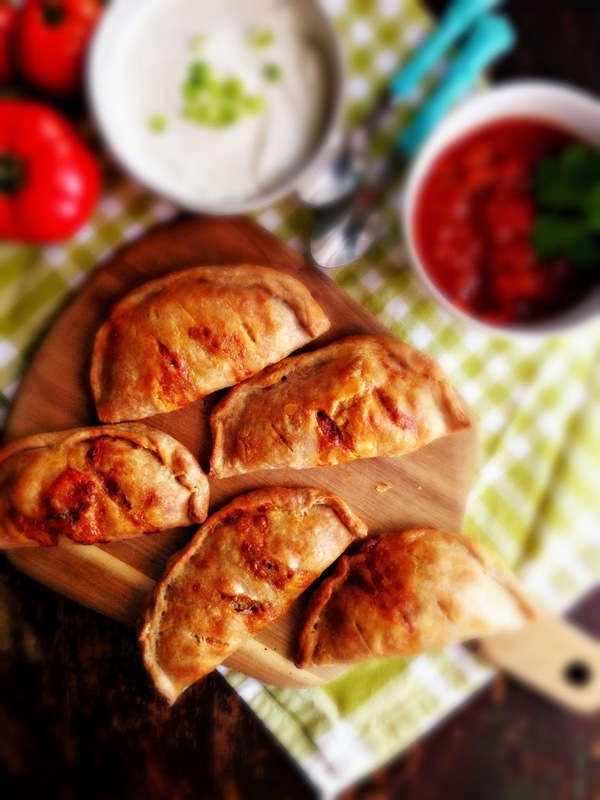 Substitute different types of cheese for each layer to add some variety and colour! You can also make it a fun game for the kids. 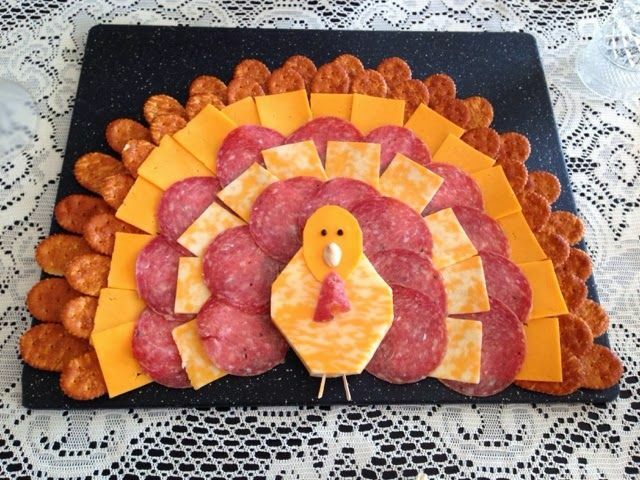 Allow them to decorate the turkey with different types of cheeses and meats! A classic favourite! With any holiday, you can always find a way to make a popcorn ball appropriate for the season! Happy Thanksgiving Weekend everyone! We hope you have a fantastic holiday with friends, family and loved ones! Enjoy the beautiful weather and remember to be thankful! With new ownership in September 2014, Saskatoon Asian Restaurant provides quick service in a welcoming environment. Located on 2nd Avenue, it is the perfect spot for a short lunch break downtown or business meeting. We sat down with owner Kit Vong to chat about the way the restaurant has changed under new ownership. Here are a few questions that we had asked but make sure to read the entire Feature Business Article to learn more about Saskatoon Asian Restaurant and more photos of the space and delicious food! We are open until 9:00 in the evening, offering both dinner service and takeout. We deliver anywhere in Saskatoon as well, for those people who don’t want to leave the house! We have a lot of regulars who work or live downtown and like to walk over for their favourite lunch or dinner dish. People love our vermicelli noodle bowls for lunch, and our sate noodle soups are really good. My personal favourite would be the sate chicken rice noodle soup. And I ate basil chicken every day for a while! Read on to see what else Saskatoon Asian Restaurant has to say about their new and improved restaurant! 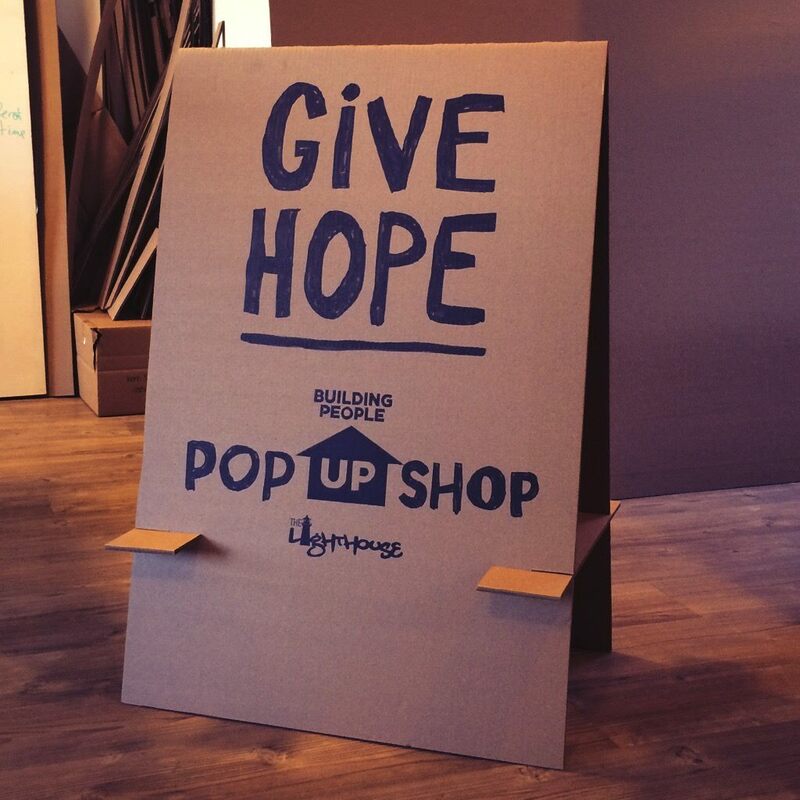 You can view their Spotlight Profile here to find location and business hours. 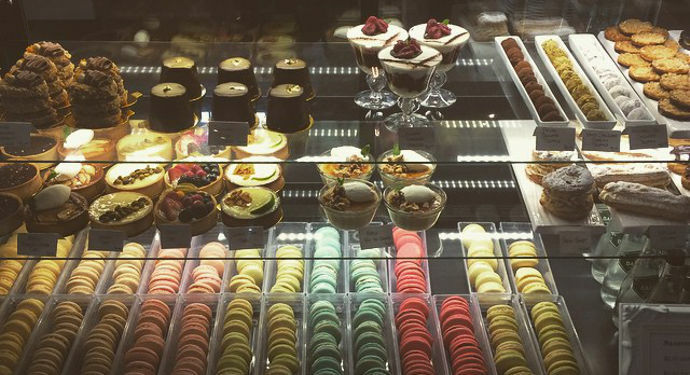 Coming back for their second time, Little Bird Patisserie & Cafe is excited for another year of exposure and a profitable week to their business at Taste of Saskatchewan. Kim Butcher, owner and baker, says that "The neighbourhood (20th Street) is changing so quickly right now that there is always an influx of new people stopping by the shop but each spring has always proven to be very busy and the winter months is when things slow down. Being a vender in the festival is a big cash injection for the bakery so it fuels us to keep going in the leaner months," says Kim. Bringing back some of last year's favourites, the french macron flavours are vanilla, salted toffee and pistachio and the sweet crepes are cinnamon sugar and lemon sugar. Rather than having a drink like the year before, a gluten-free savoury crepe is new to the menu, offering people of Saskatoon a lunch item option. With bacon and caramelized onions topped with gruyrere cheese, arugula and roasted garlic dressing, this item will be a hit down by the river this week! When asked what sets Little Bird Patisserie & Cafe apart from other bakeries and cafes in Saskatoon, Kim says, "We don't consider ourselves restaurant style service. We have very simple service with a variety of items that are baked fresh daily. Some of our items you can get throughout Saskatoon but the difference here is the huge selection of the delicacies that we love so much." Kim and her staff are hoping for good weather this week and are looking forward to the break away from the shop, they had a lot of fun last year and are expecting it to be the same this time! 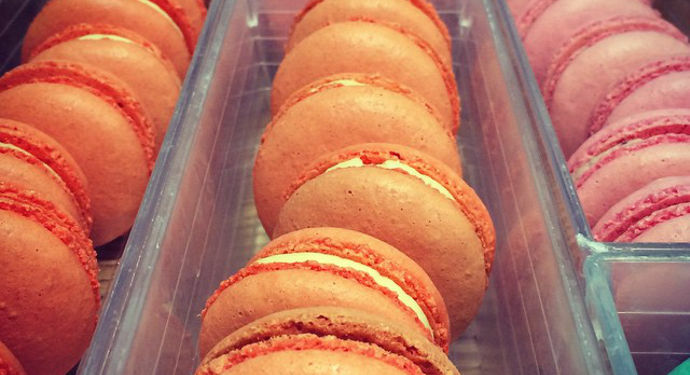 If you are looking to try Little Bird Patisserie & Cafe's famous french macrons or would like a sweet or savoury crepe, find their tent at Taste of Saskatchewan from Tuesday-Sunday this week! They are open from 11:00am-10:30pm on Tuesday and then until 11:30pm for the rest of the week, closing at 8:00pm on Sunday when the festival is finished. Little Bird Patisserie & Cafe is located at back row, closest to the river and the first row in front of the Bessborough Hotel, you don't want to miss this tent this summer! Want to give your home a refreshing facelift for 2015? Braid Flooring recently shared this post about hot paint colours for the upcoming year. The Hollows just reintroduced buttercup squash with brown butter to the menu, and it looks fantastic! 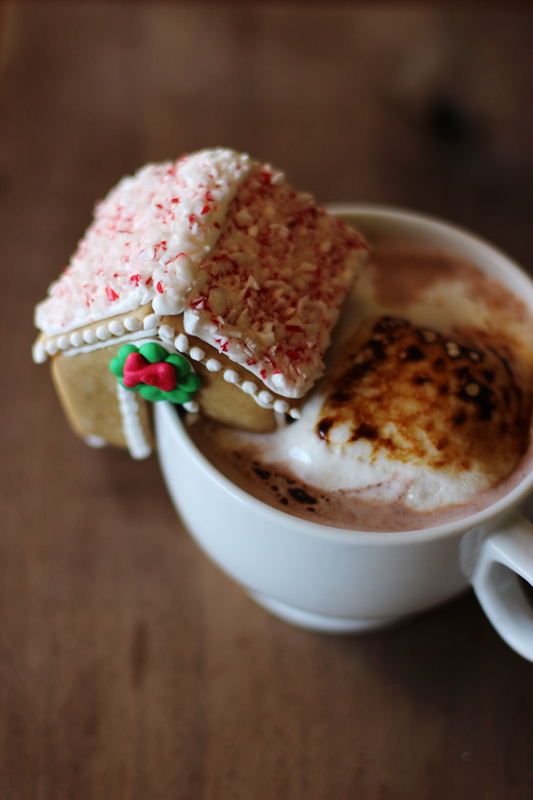 In other food-related news, Little Bird Patisserie has house made hot chocolate and french vanilla marshmallows! Prairie Sun Brewery just tapped Scorpion Tracks- described as roasty, chocolatey, and HOT! Stop by for a pint today and be one of the first to try it! 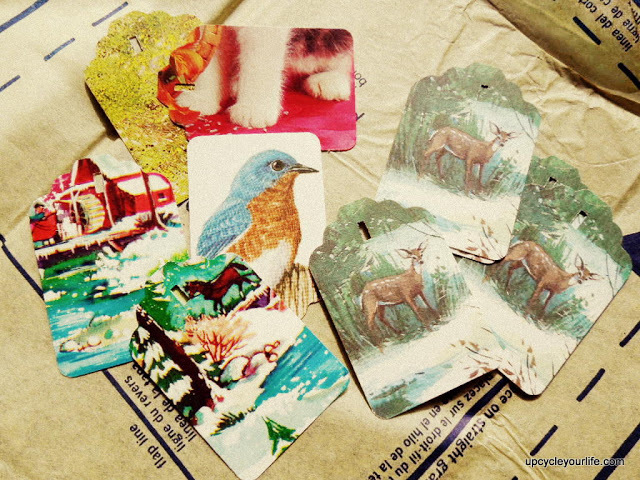 Do you have a bunch of lovely Christmas cards that you just can't bear to toss now that the season has passed? Here's an easy way to reuse them.